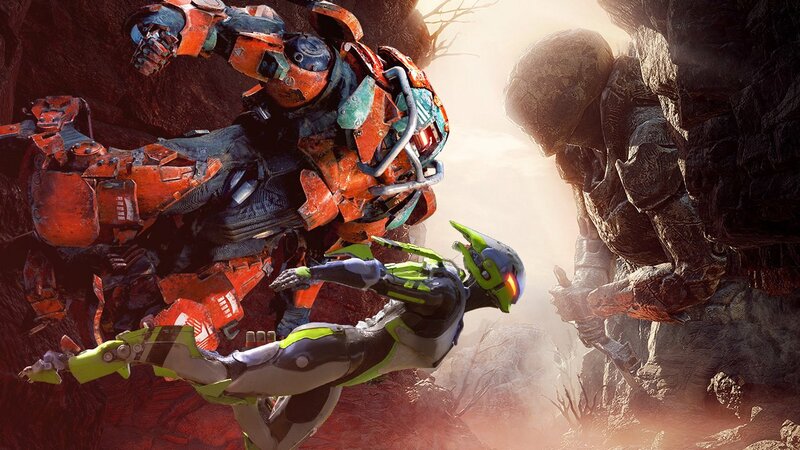 If you played the Anthem demo, chances are you were a tad overwhelmed by the javelins available in the game, and what each class can do on the battlefield. 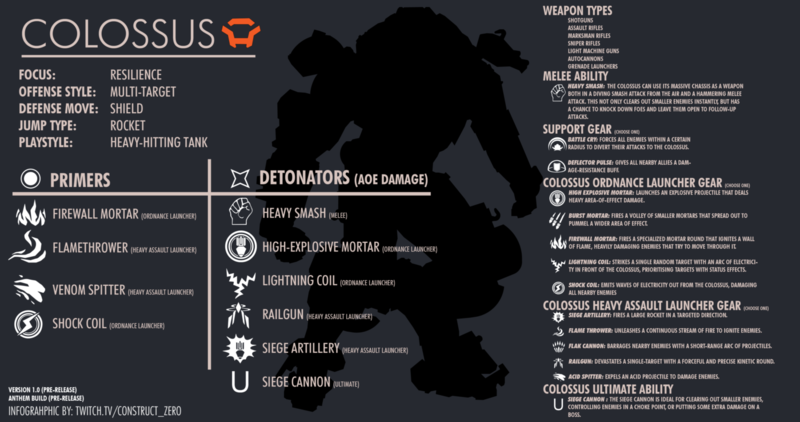 Thankfully, we have gamers like Construct_Zero (Twitch, Twitter) who are imaginative and skilled enough to make an Anthem javelin abilities cheat sheet for all the classes! Not only do we get an explanation of each javelin’s powers, but we even see what weapons each can wield, their offense and defense styles, their jump type and more! This is definitely going to be super useful come launch, so make sure to bookmark this page. 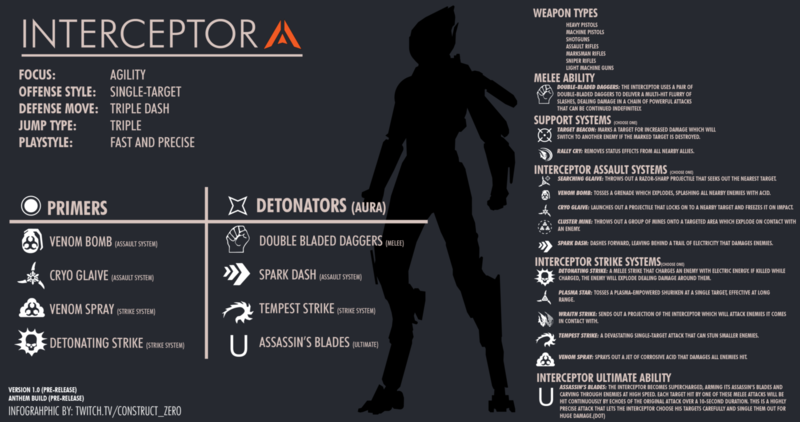 Check out the image for each javelin class below (thanks to Construct_Zero for the images!). Super handy, right? 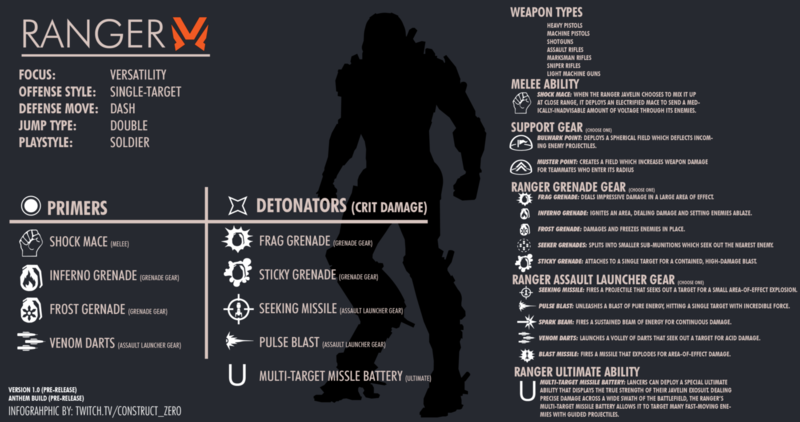 Based on the Anthem javelin abilities cheat sheets, which class do you reckon you’ll main first? 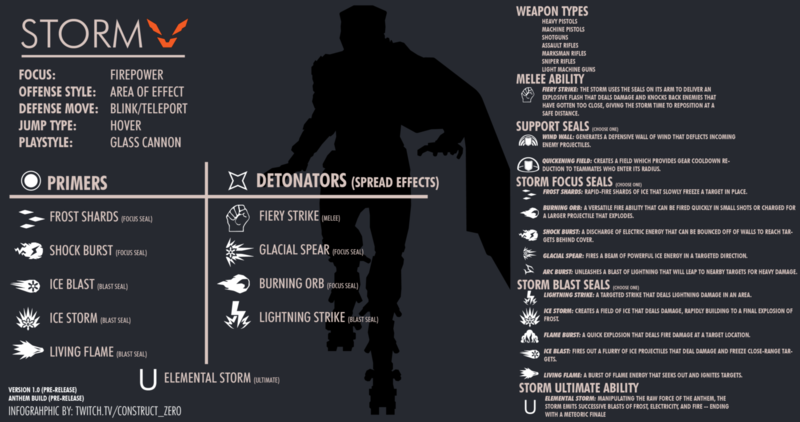 Personally, I’m going with the Storm given how powerful the class feels hovering above enemies and raining elemental space magic death. Anthem will be out this February 22 for the PS4, Xbox One, and PC.